Our commitment to the sea is our raison d’être. We preserve the best of the sea. Can you get sustainable gourmet food from a can? 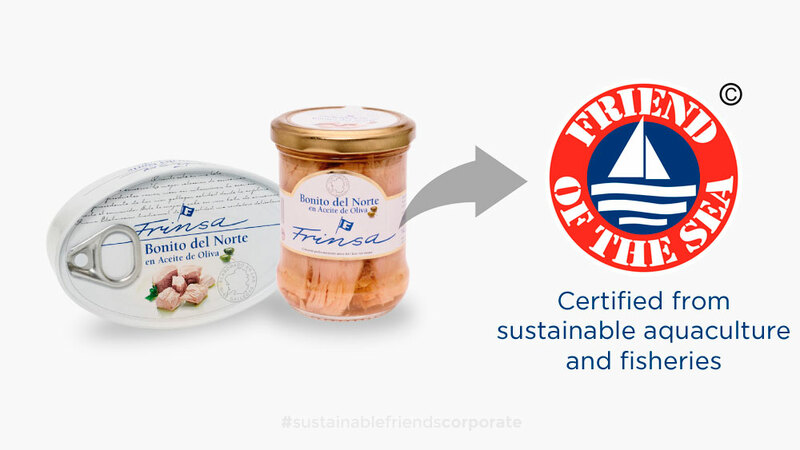 Frinsa’s main mission is to produce top-quality gourmet canned food, focusing its efforts on meeting clients’ expectations in a sustainable and environmentally-friendly way. Thanks to this, it holds the most important certificates in quality, food safety and the sustainability of fishing resources. Furthermore, it collaborates with the major organisations in the protection of marine resources. Protection of the marine environment, conservation of resources and maintenance of marine biodiversity; in short, the defence of ecological balance. Planning and rational use of marine resources, bringing to bear scientific knowledge, reliable data and exercising caution and sound judgement when taking decisions. Development of responsible fishing and aquaculture, avoiding both overfishing and excess fishing capacity. Creation and conservation of Marine Reserves. Promotion of less aggressive fishing methods with the aim of respecting non-target species and reducing negative environmental impact. Fight against Illegal, Unreported and Unregulated (IUU) fishing. 7. Reduction and Control of “by-catch”. Fair purchase of raw materials from sustainable and responsible fisheries and farms. Traceability throughout “from the sea to the plate”. Transparency and fair practice in process, commitment and action. Frinsa is one of the main interested parties in ensuring that healthy populations of tuna and other fisheries species grow to reach levels of optimum balance. Being both involved and co-responsible, it is in their interest that resources are used rationally and able to meet existing and future demand in an environmentally friendly and sustainable way. 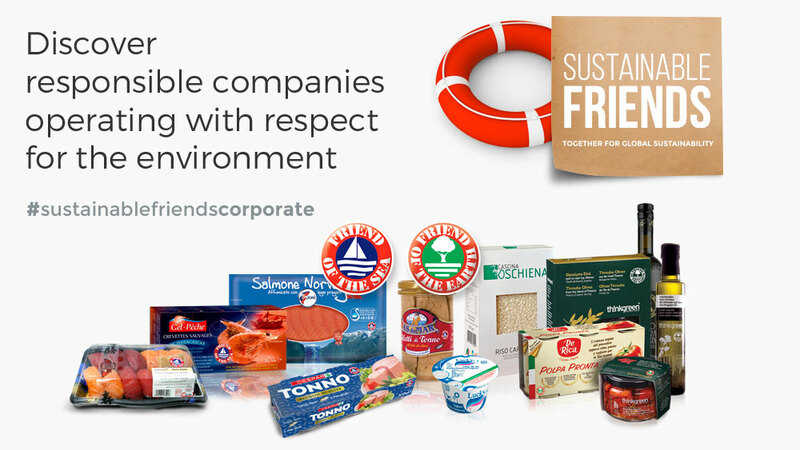 Frinsa has joined forces with organizations at the forefront of marine resource sustainability. 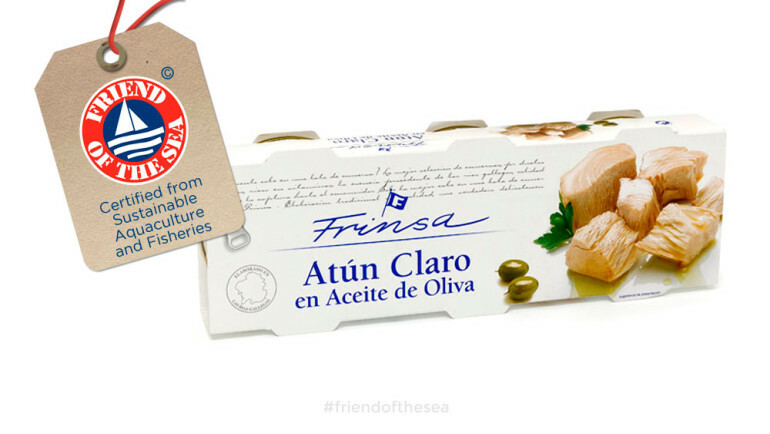 Frinsa is the supplier of the major European chains’ own brands and also manufactures its own brands Frinsa (gourmet) and Ribeira. For the mussels – Take out mussels and set aside. Keep the sauce in the tin for use later on. For the asparagus – Drain the asparagus from the can. Add asparagus to pan with a little olive oil at a high heat. Once sizzling, add whipping cream and bring to a boil. Once at a boil, bring it down to a low simmer to thicken. For the mayo – Mix the mayonnaise with the sauce leftover from the mussels in the tin. 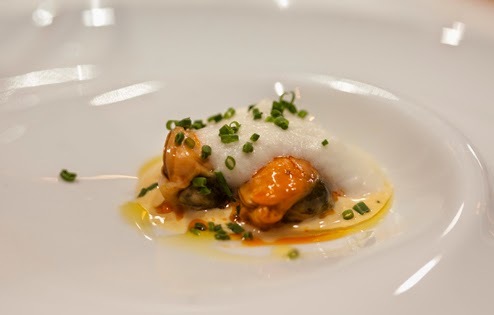 Finishing and presentation – Place a scoop of the mayo mix onto the plate, then place the mussel over it. Pour a small portion of the cream of asparagus over the mussels and finish by sprinkling some chopped chives. Lightly drizzle olive oil. For more Frinsa’s recipes click here.